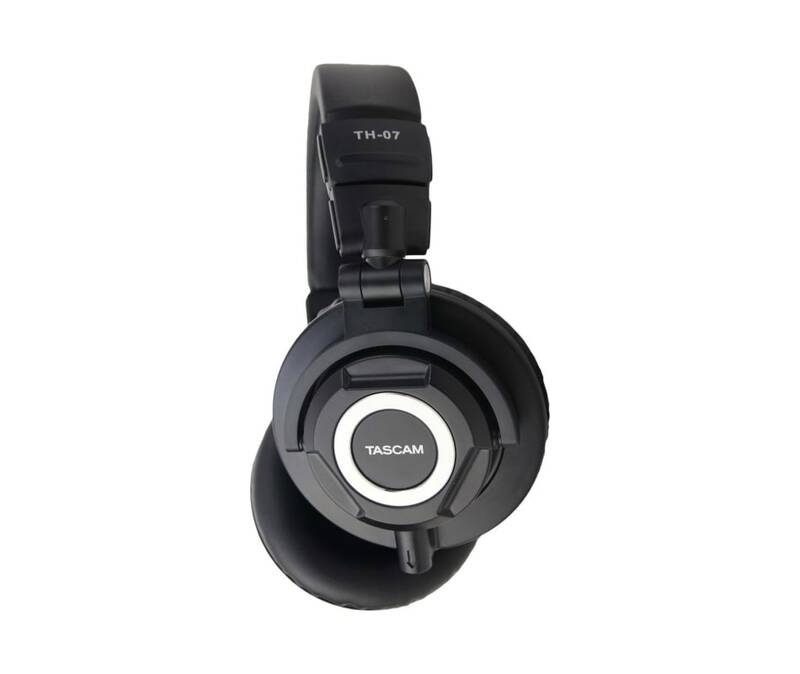 Tascam TH-07 High Definition Headphone Monitors are premium over-ear monitors designed to deliver excellent sound and maximum comfort. Ideal for mixing, monitoring or simply enjoying your favorite albums, Tascam TH-07 headphones provide a truly inspiring listening experience. Featuring a closed-back design for accurate bass response and excellent bleed rejection, Tascam TH-07 headphones are the perfect solution for tracking, mixing or any other critical listening duty in the studio. The TH-07 comes with two removable cables, both with gold-plated connectors. One is coiled and shorter in length for connection to close proximity audio devices to avoid "cable dangle," but with the flexibility to stretch and return if you need to temporarily move away and back. The other cable is a straight cable (approximately 8.5") for longer cable run applications. The straight cable has a multi-connector which will accommodate both 1/8" and 1/4" connectors. The coiled cable has a single 1/8" connector. TH-07 has excellent specifications with a frequency response of 10Hz to 30 kHz and sensitivity of 100 +3dB. The custom-made 50mm drivers are designed to cover the ear for an intimate listening experience and to replicate every detail of the source material. The result is headphones which duplicate the audio quality of premium near field monitors but as a personal on-ear listening experience. The cups are made of soft pliable leather to avoid ear fatigue and provide comfort for extended periods. Each circumaural driver can rotate and be angled for physical flexibility and one-ear monitoring. The headband is made of soft leather for comfort and durability.